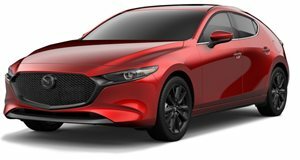 For a brand that trades on its sporty image, Mazda is noticeably lacking in performance models. But the new Mazda3 would make for a pretty slick hot hatch, and one artist has drawn up exactly that. The work of the prolific X-Tomi Design, this rendering shows what the Zoom-Zoom brand's latest would look like in Mazdaspeed spec – or Mazda Performance Series (MPS), as it's been known overseas. And seeing it in the pixels (if not the metal) just makes us clamor for the Japanese automaker to put it into production. 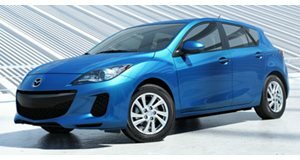 The manufacturer, as you may recall, previously produced two iterations of the Mazdaspeed3: one based on the BK-generation Mazda3 between 2007 and 2009, and another on the BL from 2010-2013. Both featured the same 2.3-liter turbo four (which also powered the Mazdaspeed6), producing 255 horsepower. That was enough to send the first iteration rocketing to 60 in 5.4 seconds, and the second in 5.2, and cover the quarter-mile in about 14 seconds. The latest Mazda3 packs a bigger engine: a 2.5-liter version of the automaker's Skyactiv-G four-cylinder engine. But it doesn't produce nearly the same kind of muscle as the Mazdaspeed models. 186 horsepower and an equal amount of torque is a respectable level of output. And you can get it with a six-speed manual or all-wheel drive (but not both). The bottom line, though, is that a Mazdaspeed3 it is not. So what do you say, Mazda? Will you do better than Ford has with the new Focus ST, make a new Mazdaspeed3, and sell it in America? Because something tells us the likes of the Volkswagen Golf GTI, Subaru WRX/STI, and maybe – just maybe – the Honda Civic Type R could use a new challenger to keep them on their toes.